Jurassic World: The Exhibition isn't coming to Melbourne Museum till Saturday 19th of March but already it is causing a social media frenzy especially after a few Velociraptors were lost in Fed Square last week! Jurassic World: The Exhibition allows guests to get closer to dinosaurs than ever before. The exhibition features encounters with realistic, life-size animatronic dinosaurs set in highly themed environments inspired by the film. Paleontologist Jack Horner, who served as a Paleontological Advisor on the Jurassic World film, is also working with the exhibition to infuse it with interactive educational elements, allowing guests of all ages to learn more about these incredible prehistoric creatures. 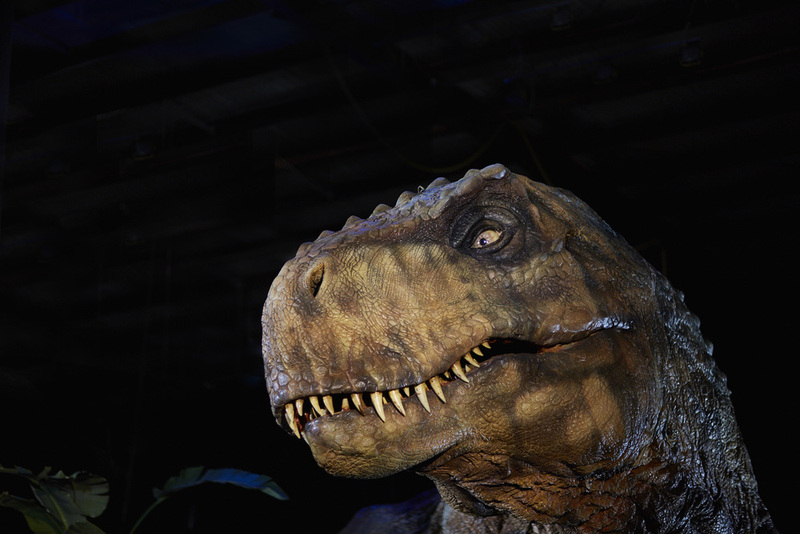 The dinosaurs are being developed by Creature Technology Company, renowned for producing the world’s most technologically sophisticated and realistic animatronics for arena spectaculars and stage shows, including those featured in the worldwide hit Walking with Dinosaurs. By seamlessly blending immersive education with theatrical settings, the exhibition represents the next generation of museum presentations. Get closer to dinosaurs than ever before in Jurassic World: The Exhibition. Based on one of the biggest blockbusters in cinema history, the exhibition immerses audiences of all ages in scenes inspired by the beloved film. Now, the park that was only a promise comes to life.. right before your eyes! Jurassic World: The Exhibition will be at the Melbourne Museum from the 19th of March to 9th October 2016. Tickets range from $16-$90. To celebrate the new Jurassic World: The Exhibition at the Melbourne Museum - we have ONE FAMILY PASS to give away! Entries open Tuesday 15th March and close this Friday 18th of March at 5PM AEST - good luck!